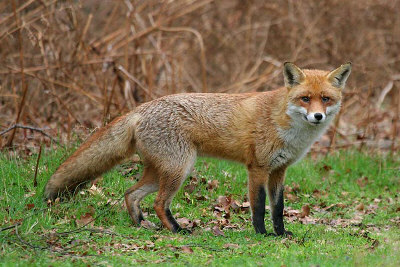 Fox shooting will be, 99% of the time, carried out after dark with lamps and rifles, driving around in a 4x4 to gain access to a large area of farm land to search for any quarry. It will also be combined with rabbit shooting, so will make more of a sporting event for yourselves. You can use your own rifle after you have proven to one of us that you are capable of hitting 3 rounds into a 4″ circle @100 yards, or you can hire the company rifle which is a 25-06. We will assist you to set up at the range area. Why not bring a friend to enjoy your evening with? We will take a maximum of 2 persons at a time for safety reasons.